Tired of standing over a hot comal, flipping tortillas? We’ve got robots! 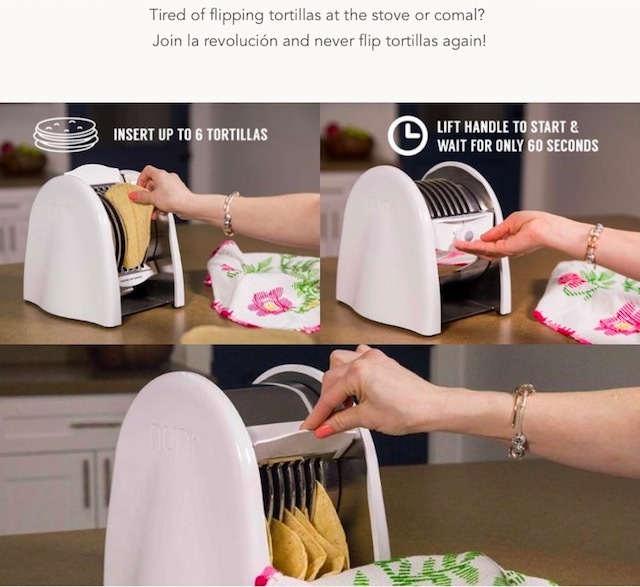 A middle class Anglo family, tired of Mom’s home cooking, join la revolución with the help of an electric tortilla toaster.